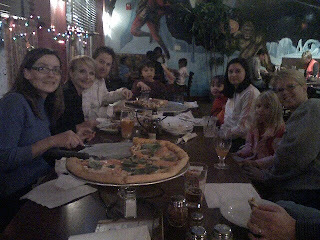 Wizards of Oz: Cogans Pizza in Suffolk VA! Hangin' with the old gang in Suffolk, Virginia. From the left: Becky, Heather, Dale, Jaden, Jared, Julie, Kyra, Karen & Bob.